Virtual Tours Las Vegas is your choice for Real Estate Photography offering Still Photo Shoots for MLS, Matterport 360 Virtual Tours in 3D with Virtual Reality. 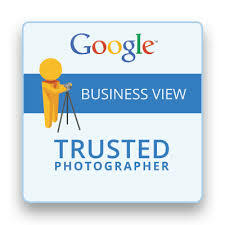 I service the entire Las Vegas Valley including services such as 360 Photo’s & Walk Through Videos for Zillow & Google Street View. The most realistic way to experience a property online is with Professional Photo’s in the MLS along with Matterport 360 degree Panoramic Virtual Tours with the ability to use Virtual Reality Headsets. This allows you to show a property like a 24/7 Open House!!! Show off your property in 360 with a Matterport Virtual Tour. 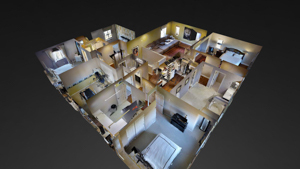 Allowing 360 Degree Walk Through’s with a 3D Dollhouse and floor plan features to reach more clients!!! 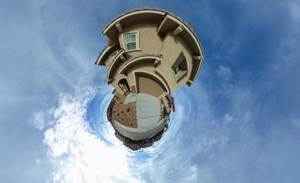 Other Virtual Tours Las Vegas Service Options include HDR Still Photography with Slideshow Virtual Tours, Panoramic 360 degree Spherical Still Photos for services such as Zillow 3D and Video for Zillow Walk Through Videos. These items can be used in Social Media, Google Map locations, Floor Plan Views and platforms outside of the MLS and Zillow. Learn more about your options. With Matterport Virtual Tours, your clients gain a competitive advantage over other agents by using a 3D Doll House and Virtual Walk Through with floor plan, making you the clear choice to show off a property over the other agents offering a still slide show from the picture gallery. You can better reach busy or out-of-town buyers, because with Virtual Tours Las Vegas, potential home buyers can feel like they are actually in the home at anytime of day or night. It’s like having a 24/7 Open House! Try out 360 degree Social Media Photos for marketing. Let us help you raise YOUR profile as a High-Tech real estate agent by using state-of-the-art technology offering a Virtual Walk Through, 3D Dollhouse views and Floor Plan views of the home you are listing for sale. Also add a Zillow Walk Through Video or Youtube video. 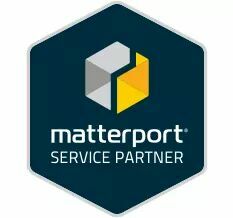 Not ready for a Matterport 360 Walk Thru video? Order an HDR Real Estate Photo Shoot with an MLS compliant Gallery Slide Show Virtual Tour for your MLS listing. Or spice up your social media presence with 360 Degree Panorama Photos and a Zillow Walk Through Video Shoot also available as add on’s for your property to stand out from others. Get home buyers or clients to stay on your site longer. Mike Madsen, the Owner / Photographer of Virtual Tours Las Vegas. As a licensed agent, I have been working in Real Estate Marketing and Sales in the Las Vegas Valley since 2006. 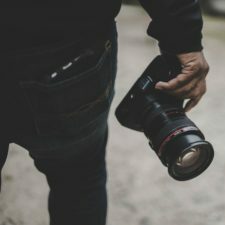 I have helped countless listing agents advertise their homes using the latest techniques in Real Estate Marketing and social media. I found my passion was finding the positive traits of a property and showcasing what the property would have to offer. By showcasing the gems, I drew out home buyers and followed their comments to see what worked. My specialty is being the link with a vision that “sees” that pieces that bring the buyer and agent together to add the home to their favorites list to go out and tour the home in person. My Virtual Tour offerings begin with offering Matterport 360 Virtual Tours that come with a 3D Dollhouse and Floor Plan Views. I also offer Landscape Still Photography Photo shoots for real estate. Still photo shoots come with Photo Slide Show Virtual Tours that come with landing pages for MLS Unbranded and Agent Branded landing pages. I also offer Panoramic 360 degree social media photos that are great for Social Media advertising as well as HDR 360 images for as a Google Trusted Photographer. Other real estate services include my Zillow Certified Walk Through videos exclusively for Zillow as well as Desktop YouTube videos of the above tours. Visit my Portfolio for examples with High Rise Condos, Mansions, New Homes, Single Family Resale Homes, Townhouses and other structures such as Convention Space, Retail Outlets, a Barn and Over Sized Garages. Follow me on Facebook, Instagram and Twitter for my latest tours and specials. The free Matterport Virtual Reality Button add on has been extended until June 30th 2017.